I wanted to share a neat trick with you guys today. I’m sure everyone has picked up a skein of acrylic yarn that wasn’t exactly soft. You bought it, you used it and hoped the end result would be okay, but then your hard work just felt stiff and scratchy at the end. You put time and effort into it and you really don’t want to start over, so what do you do? 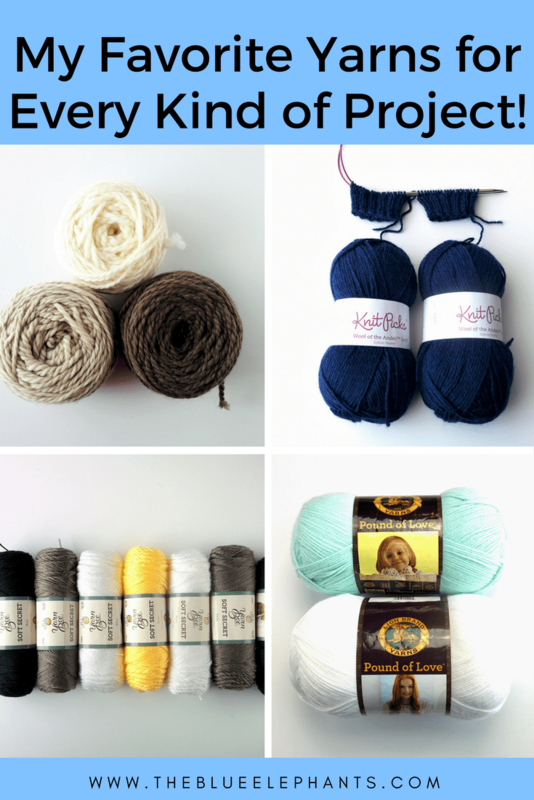 How can you soften acrylic yarn? When I started out, some of my family gave me a lot of Red Heart Super Saver. It was nice of them, but I needed a way to soften acrylic yarn. I’d seen people soften it before using it, but that seemed too risky. I didn’t want to throw the whole skein in the wash and get it tangled. And I didn’t want to use the whole thing right away! So I played around and figured out how to soften acrylic yarn after I made my piece. 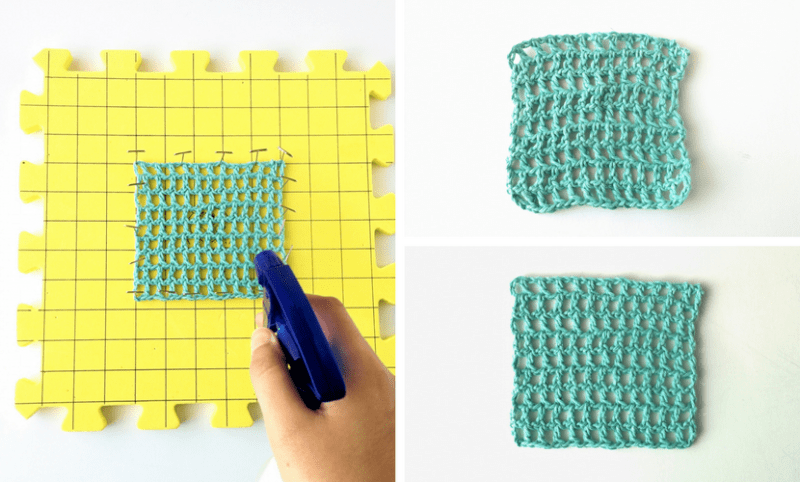 This is a really easy way to soften acrylic yarn, especially yarn that can be stiff as well as scratchy. 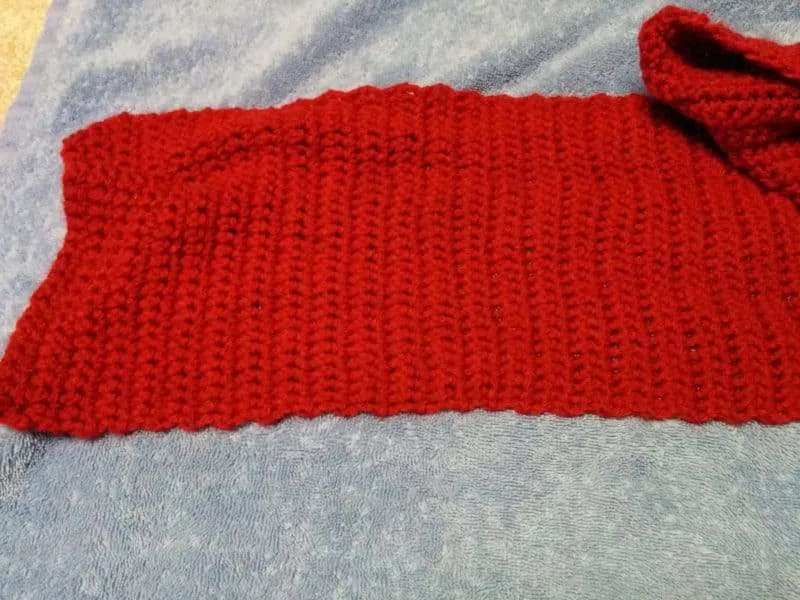 I used Red Heart Saver and SC to make the scarf I’m using as an example here. You’ll just need a few things you probably already have around. 1. 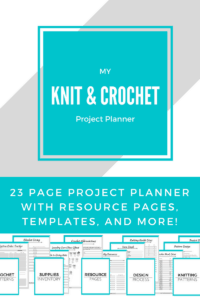 First, knit or crochet your project. I found it easier to soften the yarn after making the item because it took care of blocking at the same time. Also, I didn’t have to worry about pre-treating the yarn before I started, and I could just do it all at the end. 2. Next, fill your sink or a plastic bin with warm water and submerge your item in it. The item will absorb water so add more if you need to in order to keep it submerged. Let it sit for a minute or two and get the fibers soaked. 3. Add two or three pumps of hair conditioner to the water and mix it around to get it bubbly. Any conditioner is fine; I used whatever I happened to be using at the time, which was Pantene Pro-V, but it doesn’t matter. Massage the conditioner into the item like you would with your hair. It’s doing the same job, really, by adding moisture and softness into the strands. Then, let the item soak for another half hour. 4. Rinse the item out with cool water and gently squeeze any excess water out into the sink. Be gentle and work in sections to get as much water out as you can. The fibers are more delicate when wet so don’t twist or wring the piece because that could damage your stitches. Then, using a towel, go over it again. It should just be damp when you’re done. 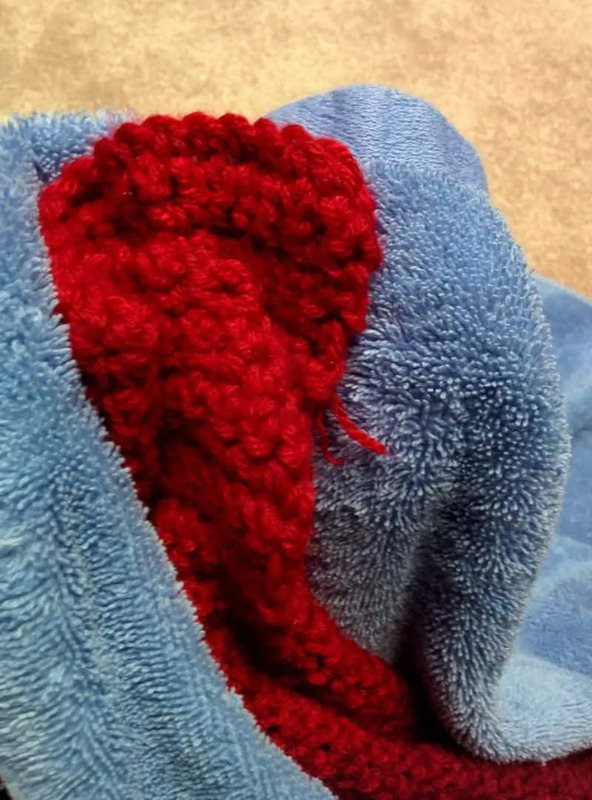 Now you have two options: you can either lay the item out on a towel or a blocking mat and block the item to finish as you normally would, or you can dry it the rest of the way in your dryer. For items that you want to keep a certain shape, like sweaters or gloves, I would recommend blocking them. 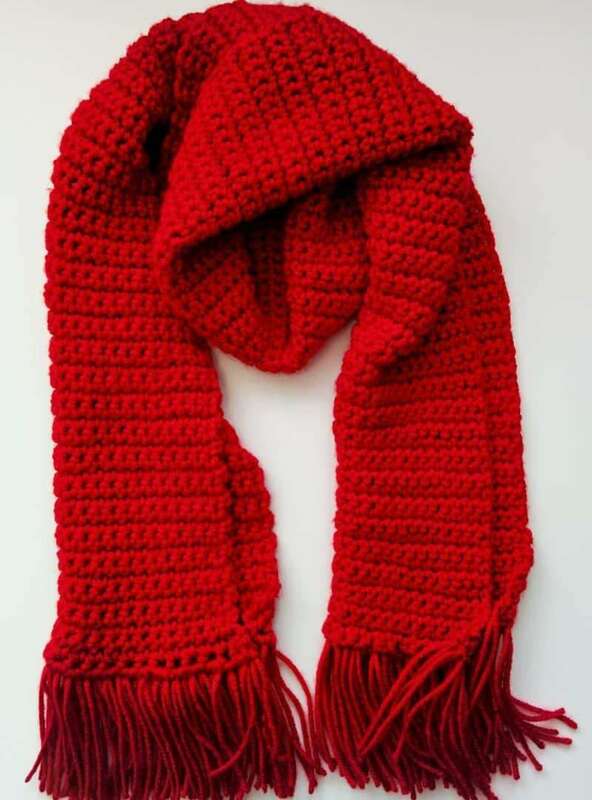 But for simpler items like this scarf, you can just put it in the dryer without worrying about it becoming misshapen. If you don’t know how to block things or if your item needs blocking, go ahead and click the image above for a post all about blocking. There’s also a freebie there! For the dryer option, throw the item into the dryer for 40 minutes on a low heat setting. You can also use a dryer sheet to prevent static if you like. 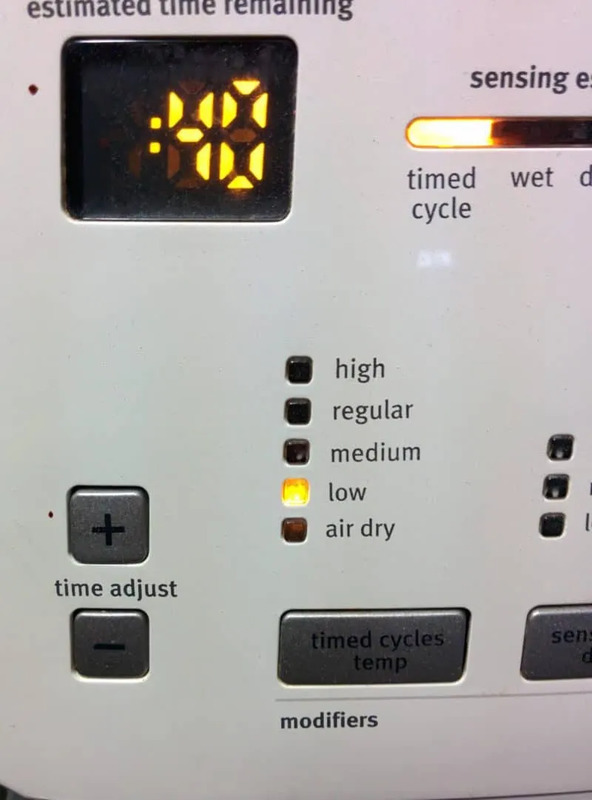 If the item isn’t completely dry in 40 minutes, you can dry it a while longer, or let it air dry the rest of the time. That’s it! Your item should be soft now and move the way you want it to. 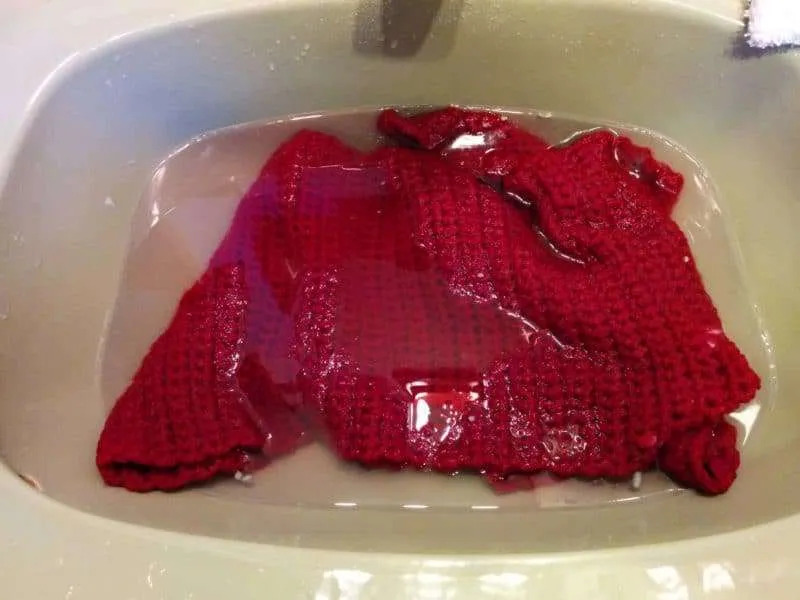 Although it takes a while to get it soft like this, a lot of that time is spent letting the item soak or dry, so it doesn’t need much attention from you. This is the best way I’ve found to soften acrylic yarn, and it’s worked great on everything I tried it with. You only need to do this the FIRST time you wash. You can repeat it and try to get softer results, but after a while, it doesn’t do much more. After that, you can just throw in the wash as you normally would and not worry about it. If you really want super soft acrylic yarn, the best thing is to just buy higher quality yarn. When I wrote this post, I used whatever I had because I needed to use it up. But since then, I’ve found so many yarns I prefer to use over scratchy acrylic. And they aren’t expensive or hard to find at all! You can find them right alongside the Red Heart Super Saver and get better quality for the same prices. I have a big list here of all my favorite yarns and what I like to use them all for if you want to see what I use. I’ve soaked and washed acrylic skeins in the washing machine with zero tangling. I first wrap the yarn around my arm like a rope or hose, and tie the whole ring in several places with short pieces of yarn, as if you were tying it into a circular wreath. I use a different color of yarn to tie and help me find the ends later, and to make sure they don’t knot around the circle. Wash on gentle. After washing, I remove the ties and hang the circle on a clothes hanger to dry, or lay it on a towel, fluffing it a bit every once in a while to help keep the fibers from compressing. Thanks for this post. It’s going to come in very handy when I move & won’t have a washer yet. Your blog is great. Spraying the items with water and using a fabric softener sheet in the dryer will give the same results without all that work. Thanks, Loreen, that one is new to me! I’ll be updating this post with more alternatives soon. I soften yarns by washing in washer with detergent and dry in the dryer using a dryer sheet or two. Works very well! I do this with Super Saver and any other yarn that seems to have a stiffening agent on it. Hi! I’m just trying this out on a baby blanket that turned out super scratchy, and wanted to ask what kind of results anyone has had after subsequent washings? I’d like to wash it with detergent after treating with conditioner to make sure it doesn’t irritate baby’s skin, but I’m afraid it will lose its softness. Have your acrylic projects stayed soft after laundering as usual? Washing it afterward won’t undo this process. It will stay soft and even get softer after more washing! Scary question, but would this work on cotton yarn too? Thank you so much. I just made a beautiful cabled poncho in a Loops and Threads yarn that FELT soft, but now that the project is done, it doesn’t drape very well. The edges are stiff and it looks so awkward on, I don’t want to wear it 🙁 It’s so beautiful I don’t want to take it all apart! I thought maybe I could soften it somehow and found your post. I’m soaking it now. Wish me luck!! Hi Shehla, have you used this technique for baby projects? I’m using a worsted self striping yarn right now that gives me the look and colours I want but it’s a little stiff. Don’t know if I should use a gentler conditioner in case the baby has allergies or if it really won’t matter. It won’t matter, since the conditioner is wanted out. You could use an fragrance free conditioner or soak meant for knitting/crochet if you want to be sure. The fragrances are usually the reason for irritation in most things. Wow thanks heaps. I’m making a rug now with leftovers and it’s very scratchy, can’t wait to see the results. I’m glad it helps Pamela! Is it necessary to repeat this procedure after each washing of the garment? No, just the first time! I try not to buy acrylic yarn that doesn’t feel soft in the skein. I never buy Red Heart because it’s so scratchy. I have found some really nice but inexpensive acrylic yarn at Herrschners.com. Their own brand comes in 8 and 12 ounce skeins and the colors are beautiful. Sometimes you can get the 8 oz skeins for $1.99! I also like willow yarns. They have several 100% acrylics that are beautifully soft and one bamboo blend that is sooo lovely and nice to work with. I happen to prefer working with dk weight rather that worsted weight and Willow Fawn is a wonderful yarn for childrens clothes and blankets. 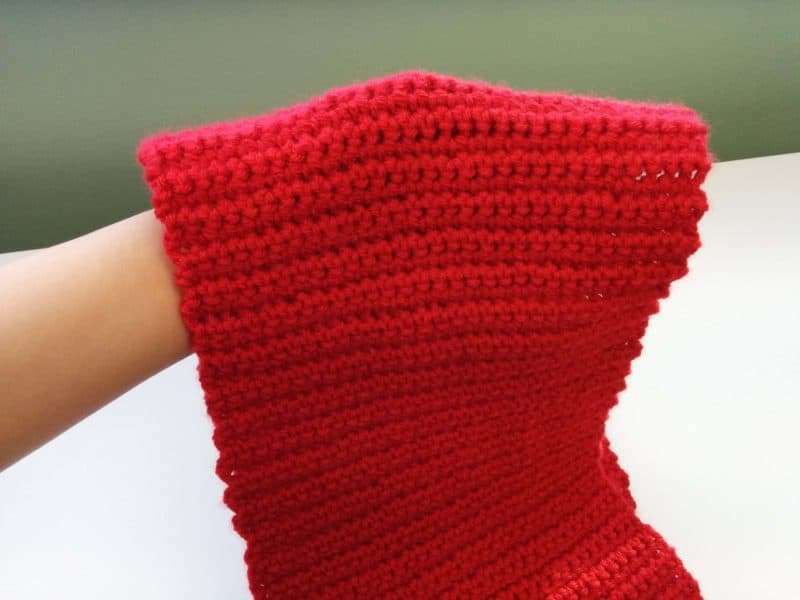 I will pass the tip along to my friends who knit/ We have a prayer shawl ministry and we get a lot of leftovers that aren’t so nice and soft and this will fix the problem. What a great tip, thanks for sharing. No problem, I’m glad you found it helpful! 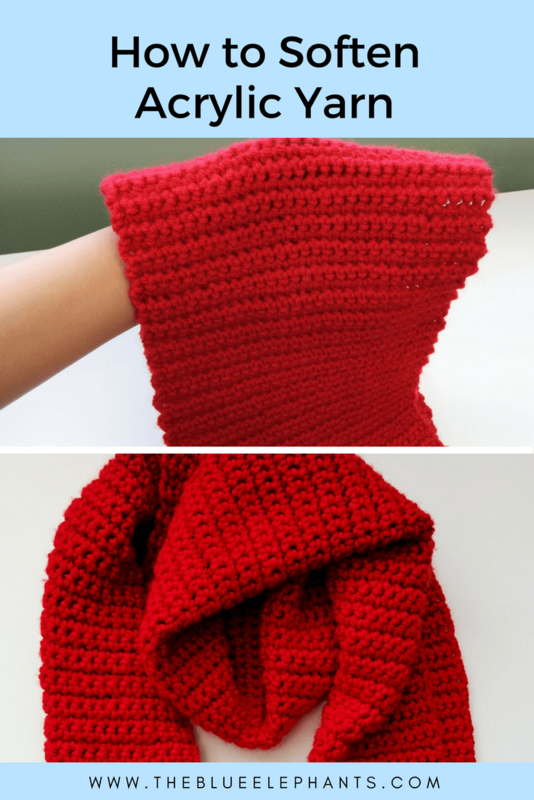 Wonderful tip for softening yarn and will definitely try this. Love your patterns. Thank you! It’s my tried and true method and the easiest way I’ve found! 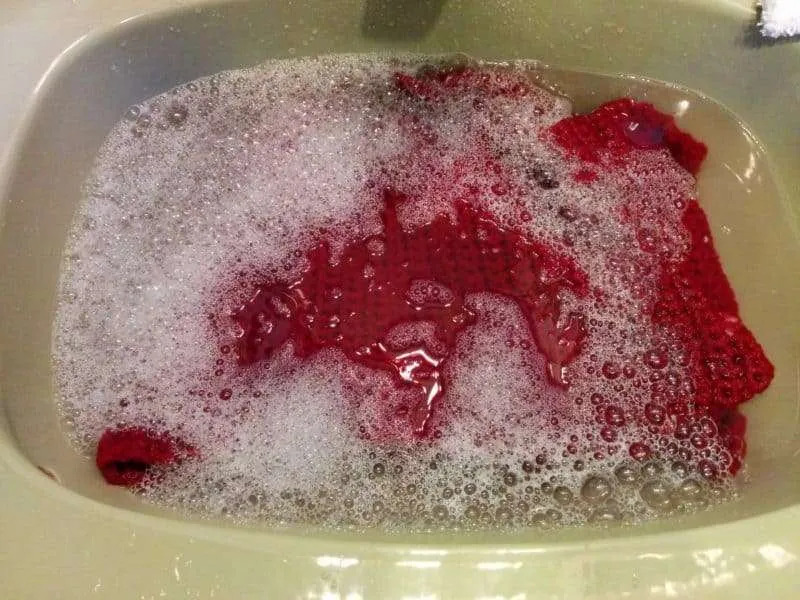 Would I be able to soak it in my bathtub if I am making an afghan? Yes! I do that for mine too. You can also use a large plastic tub if you need the bathtub free. I never prep, I use red heart for almost everything. I just wash on cold delicates, then pop in dryer for about 20-30 mins with dryer sheet. It always comes out soft and does not lose shap. I like to prep for projects that I’d like a little softer than a normal wash, but it’s totally about preference! Exactly! Why do all that prep work to get the same results. For double softness, you can even add a liquid fabric softener in the final rinse. Do you have to redo this every time you wash? Thanks! No, just the first time! You can machine wash as you normally would after. I never use ANY heat at all with my acrylic yarn projects. I always air fluff them until dry in the dryer. I do this even with the sweaters that I buy too. 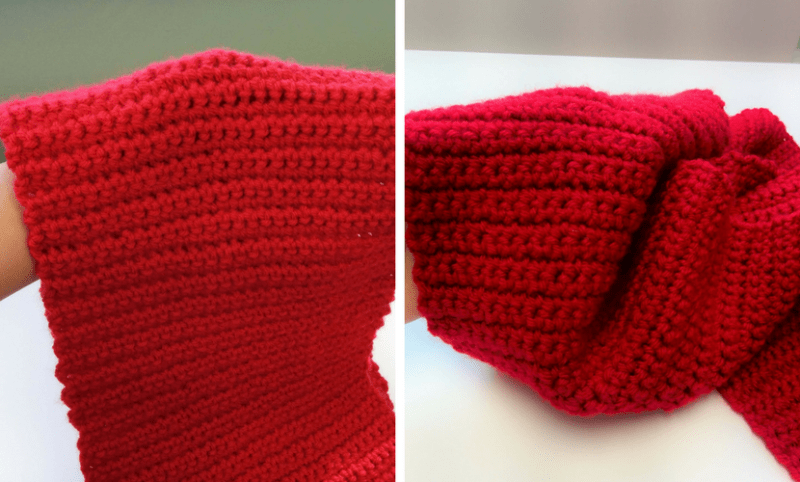 I have found this works best and the sweaters keep their shape better without blocking evetytime. Thanks for the tip, Cat. I only need to block it the first time, but then I machine wash and dry as usual. I haven’t had any problems using heat, but I’ll try to air dry a few items and see if there’s a difference. Oh wow, even works on untreated wool? I’ve never used wool like that before but it’s great to know this will still work! It’s so easy and gentle on the materials. What a great and interesting idea. I like using the Hobby Lobby I Love this Yarn which is softer than some acrylic yarns I have used but it could still use a little softening. I look forward to trying this. Thanks. Pinned. Thanks! I get I Love This Yarn whenever I can because it is softer and the colors tend to be richer. Sometimes Red Heart has more color options though, so I like knowing that I can get the yarn softer if need be. I hope you find it useful next time you have scratchy yarn that needs saving! Thank you! I love using this kind of yarn when I'm still testing out patterns or trying a new stitch pattern, so it's great to know that I can make something soft with it too! too neat! love how simple this is. sometimes the more colorful yarn is so rough so this would work great to soften the yarn! thanks for sharing the idea! I have some Red Heart I will have to try this with! I'll check them out. I saw that they're crochet. I usually stick to knitting. I have a hard time keeping up with crochet. But since you have some beginner projects, maybe I'll give it another try. I am so glad you found it helpful, Gina! If you liked this post so much, I really think you'll like the other posts I put up! 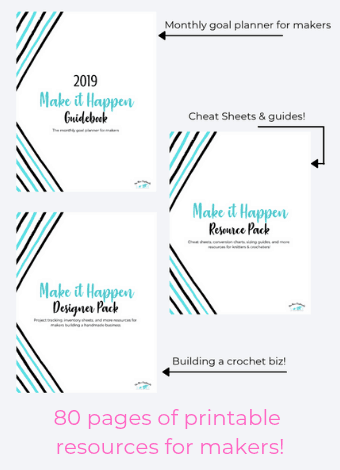 Be sure to subscribe for the updates and the free ebook!